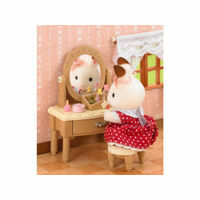 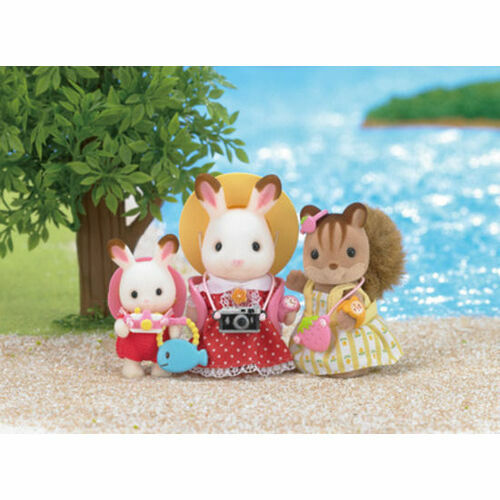 Prepare your Sylvanians for their excursion with the Day Trip Accessory Set! 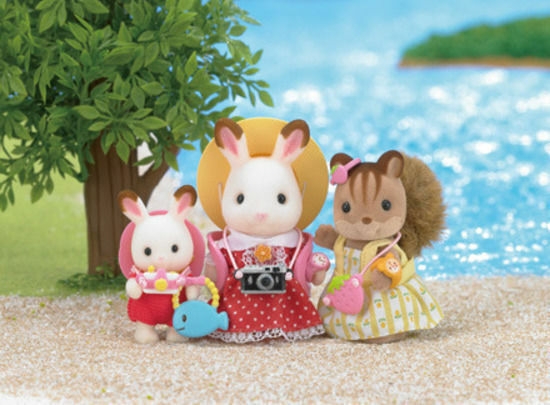 Includes a backpack to keep their bits n bobs safe, a straw hat to keep the sun off their ears and of course, a camera to take snaps of the scenery! 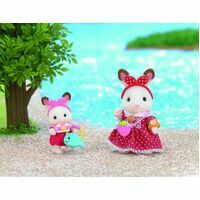 From a matching strawberry earband and purse, to pretty bunny ear-shaped headbands, this set has all the essentials for Sylvanian girlies out on a day trip at Adventure Island! 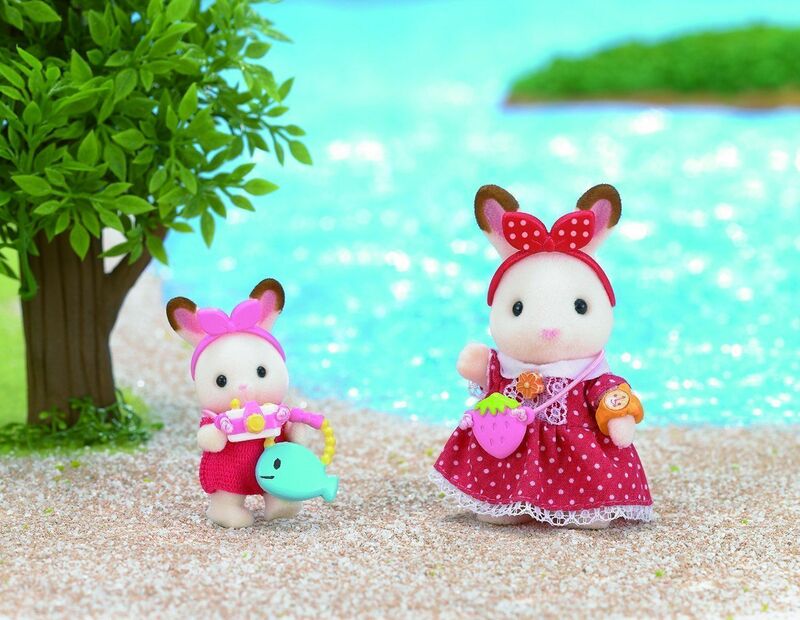 There's even a teenie tiny whale clutch, and a watch to make sure they make it back home on time; what more could they need for their summertime adventures? 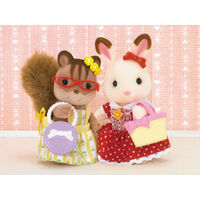 Set includes: 2 hat; 1 bag; 1 rucksack; 2 head band; 1 earring; 2 wristwatch; 2 camera; 1 pochette.